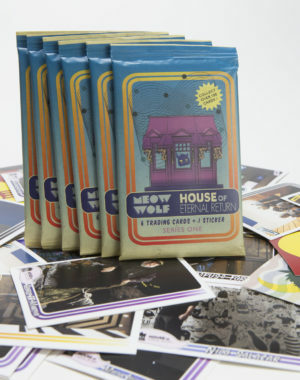 The home of rare, out-of-this-world beverages, Float is Meow Wolf’s cafe and bar located in the House of Eternal Return in Santa Fe, NM. 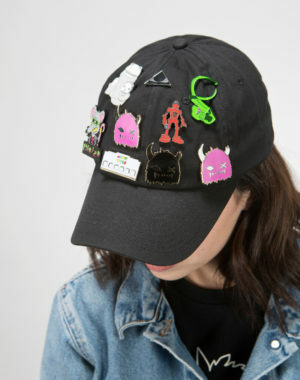 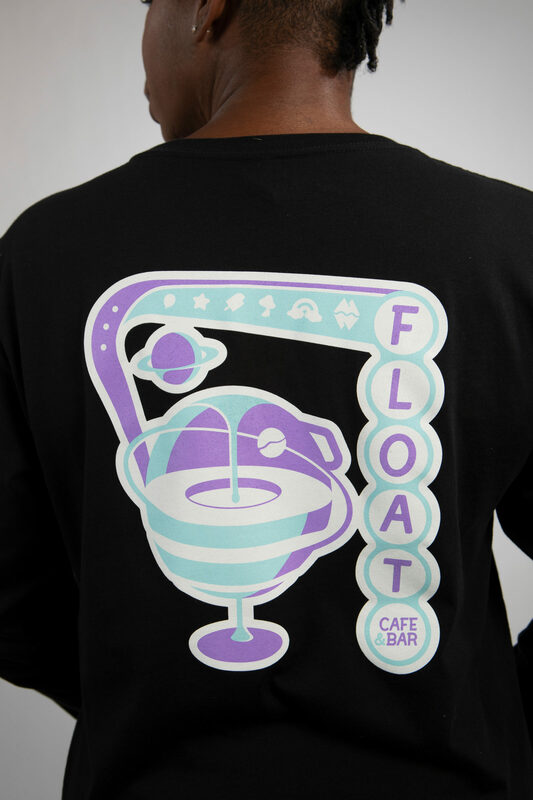 At Float, you can get more or less anything from your cup-o-black coffee to ultra-galactic lattes with lavender foam to mysterious cocktails like Norwegian Rot. 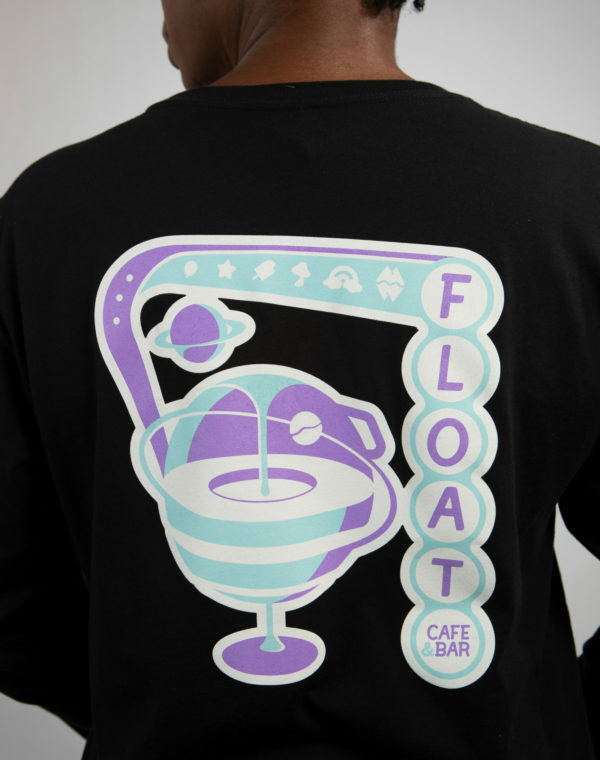 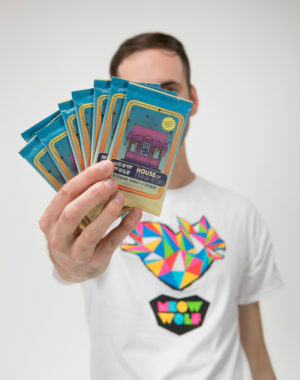 Keep the retro-futurist sci-fi theme alive with this special t-shirt designed exclusively for Meow Wolf’s very own cafe and bar.